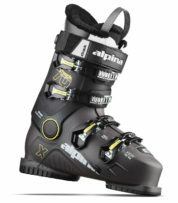 Alpina Women’s Ruby 60 Skiboard Boots. 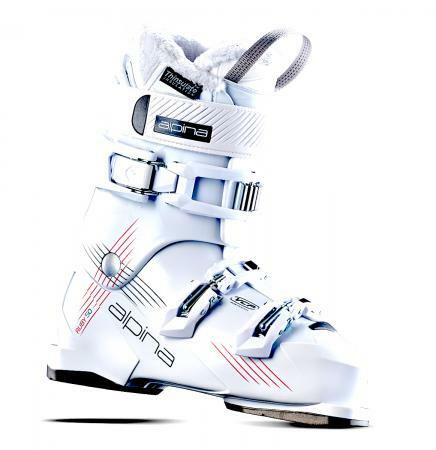 Developed specifically with women’s anatomy, these Alpina Women’s Ruby 60 White Skiboard Boots are ergonomically designed boots just right for skiboarding. 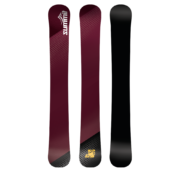 Alpina is our favorite boot manufacturer, providing just the right upright stance, comfort and price to ride skiboards. In addition, to the men’s Xtrack boots we have been selling for years, we now offer a woman specific boot that is ergonomically designed for women’s feet. 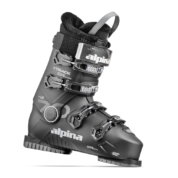 These Alpina Women’s Ruby 60 Skiboard Boots are beautiful as well as comfortable. Features include: a 3 macro adjustment buckle design with velcro power strap for the perfect fit; a thinsulate liner for extra warmth with fur lining at the top and a removable volume control plate to provide a choice of fit. These also feature a comfortable entry/exit and anatomic footbed. 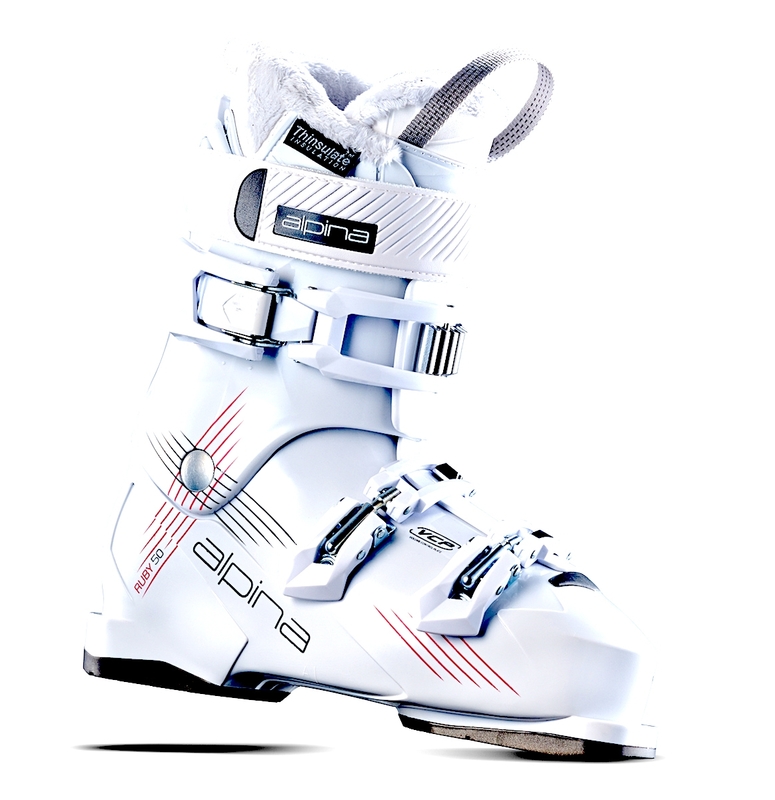 Developed specifically with women’s anatomy, these Alpina Women’s Ruby 60 White Skiboard Boots are ergonomically designed boots just right for skiboarding. Color: White with Magenta highlights. (color could vary slightly).